Authors Joanna Czechowska and Louise Walters discuss Polish characters, sequels, and the amazing Debi Alper. They decided to team up to discuss our novels because they both write about the Polish experience during World War Two, and beyond. First things first – what made us pick this theme for our debut novels? Joanna: My father was a Polish pilot who joined the RAF when he arrived in the UK during the war. He married my English mother and settled in Derby. My whole early life was filled with the Polish language and culture. We spent weekends at the Polish Club my father helped to establish and many of my friends were second generation Poles. I think I wanted to tell their story which was also my story. Louise: That’s fascinating. So I think your Polish characters are very familiar to you; you have a lot of “built-in” knowledge of the Polish people and culture. I had very little knowledge initially and had to research. I must confess I also guessed a little here and there. I once found a letter tucked inside a book while working in a second hand bookshop. The letter was from a Polish Squadron Leader, written on VJ Day1945. It really fascinated me as a small slice of history and also, I wondered about this Polish man and what his story might have been. Eventually I decided to link this letter to a suitcase I owned with a label inside bearing the name “Mrs D Sinclair”… I remember wondering what kind of letter the Polish airman might have sent to this Mrs Sinclair. That was the basis for my novel Mrs Sinclair’s Suitcase. How much research did you do into the pilots of the Second World War? Did you speak to any Polish people about those times? Have you visited Poland? Louise: I read some general WW2 books as well as a wonderful book about the Kosciuszco Squadron, called For Your Freedom and Ours. This was so useful and helped me to understand Jan and the things that drive him. I read that the Polish often have a gallant nature, so I had Jan bring a bunch of wild flowers on his first visit to Dorothy… I liked that kind of simple yet romantic gesture and it was really helpful “seeing” Jan bring those wild flowers. I imagined him picking them along the way from the hedgerows. I have a friend in Poland who I visited in 2009, the year before I began serious work on Mrs Sinclair. It is a fascinating country. We went to Auschwitz which was harrowing and moving; such a contrast to the lovely city of Krakow. I’d like to go back to Poland again one day, perhaps after having learned a little of the language! Joanna: Much of The Black Madonna of Derby is based on stories I’d heard from people in the Polish community. I did research on the Polish street round ups during the war and Poland during the 1970s. The sequel, Sweetest Enemy, required much more research as it deals with the Solidarity days in Poland about which I knew little. Did you set out to write an untold story, i.e. the experiences of post-war Polish immigrants and their descendants living in the UK? Joanna: Yes, indeed. There were novels about various immigrant groups: A Short History of Tractors in Ukrainian, Small Island about the Caribbean community and Brick Lane about the Bangladeshi immigrants but nothing, as far as I know, specifically about post war Poles. Louise: I wanted to tell an untold story too, that of the Polish contingent that took part in the Battle of Britain. 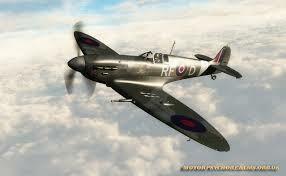 It doesn’t seem widely known that pilots from many nations took part alongside the British. The Polish pilots, by all accounts, were highly accomplished – but it took the RAF too long to understand that, leading to frustration and some bad feeling. I was keen to tell that little story too. Joanna, in The Black Madonna, you write: ‘…futility, honour and pride were all vices and virtues of the Polish character.’ Do you think there is something in “Polishness” that makes for dramatic stories? The history of Poland is rife with drama and tragedy and I wonder if that impacts on the national character? Joanna: There is a certain romanticism in the Polish characters – rather similar to the Irish. Maybe it comes from being bullied by more powerful neighbours. The Poles tend to be melodramatic, emotional and patriotic – this is a generalisation of course but many agree with my analysis. 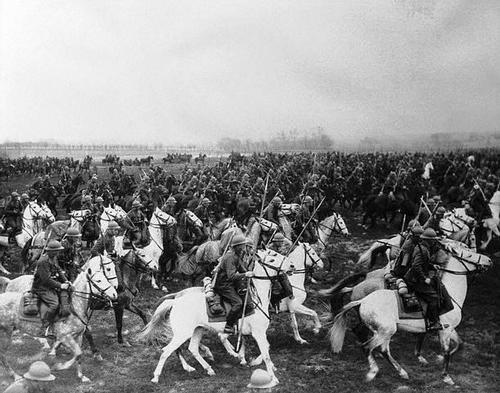 I suppose the picture of futility is epitomised in that footage of the Polish cavalry attacking the German tanks invading their country in 1939 – they knew it was pointless but they had to make a stand. Louise: Yes, I gathered from my research that the Poles are not the kind of people to take things lying down! I think it’s tempting for a British person to imagine that only little old Britain stood up to the Nazis but of course the Polish did exactly the same, valiantly. I don’t think that should be forgotten. I wanted Jan to be a fighter, with a strong sense of injustice and a ruthless desire to beat the Nazis. I thought that side of him contrasted with his softer side, the man that falls in love with Dorothy. Did you consider straying into Holocaust territory? It’s not an easy subject to avoid when writing about the Polish WW2 experience and I just wondered if it’s something you felt you could or couldn’t write about? Joanna: I do go into this painful subject in Sweetest Enemy: Helena does research into the holocaust and goes in search of her Uncle Nathan’s story when she visits Auschwitz to try to find out what exactly happened to him. Louise: That’s interesting. I shied away from it in Mrs Sinclair, really. The closest I got was having Jan come from a “village near Krakow.” At one point in the novel Dorothy has heard “rumours” about Jewish people being rounded up in Warsaw… but I didn’t really feel that I could write about the Holocaust effectively. I did visit Auschwitz in 2009 and it had a deep effect on me. It was a moving, chilling experience. Are you tempted to write a sequel? Joanna: I have written Sweetest Enemy, a sequel to The Black Madonna which, as I mentioned, takes the story up to the 1980s and the era of Solidarity. When I spoke at book clubs and libraries, many readers asked what happened to the Baran family next. I decided I wanted to know as well so that’s why I tackled the sequel. It is mostly the same characters, some are totally new and some had just a passing mention in the first book but are brought to the fore in the second. I think the sequel can be read as a standalone but ideally they should be read in sequence. I enjoyed writing about my characters again as they are old friends. Louise: I have been thinking of the possibility of a sequel, but only recently and still in a very vague way. 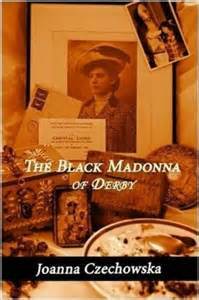 Mrs Sinclair is a standalone but reading your novel The Black Madonna of Derby has set me to thinking about Jan… what became of him? I’d really like to find out… and I want to know how many kids Roberta and Philip have, if any… and what issues they face in their marriage… I’ve asked myself, wouldn’t Roberta want to discover more about Jan? Would she end up visiting Poland? Would she track down Nina or Aggie or their descendants…? And how about the relationship with her mother, which we had a glimpse of? There is quite a lot still to find out about at the end of Mrs Sinclair’s Suitcase…so I will let ideas float about in my psyche and see if eventually there is another novel in there. We happen to share an early editor in Debi Alper. Did she suggest any changes or come up with any ideas about the book that you took on board? Louise: I got to know Debi through The Writer’s Workshop. I’m a graduate of Debi’s on-line self-edit course that she runs with fellow author Emma Darwin. I work-shopped Mrs Sinclair on the course and I learned a lot about editing from both of these talented writers and teachers. Debi is so generous with her time, advice and expertise, and Emma’s blog This Itch of Writing is an invaluable resource for writers at any stage of their careers. Joanna: I got to know Debi through the East Dulwich Writers’ Club. She helped edit both my books and was always encouraging, helpful and positive. She and Emma are great editors. Louise: Joanna, it’s been an absolute pleasure to talk about our novels. Good luck with your future writing. Joanna: It’s been so interesting to talk to you. I enjoyed your novel and was pleased to review it in Woman magazine (I’m the book review editor). One day we should have a Polish vodka together!